It's worth noting that this weekend was the anniversary of the devastating tornadoes that struck across Alabama in 2011. 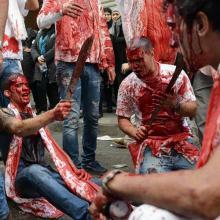 This image stems from this event. Gary, what a beautiful portrait. Can you share a little of the backstory? I covered an EF5 (Enhanced Fujita Scale) tornado April 27, 2011 that smashed this neighborhood. I got there about 45 minutes after the storm hit and shot several images, but didn't meet Jennifer at that time. Back on April 3, 1974 (when a series of deadly tornadoes ran from the Gulf of Mexico all the way to the Great Lakes) this same area of Limestone County was hit by a strong F5 tornado. Many people died that night, 36 in this one county alone. Two of her ancestors were killed in that storm at the family home about five miles away. That happened several years before she was born but those deaths are one reason she is alive today. The April 27 tornado took such a similar path that some structures rebuilt after the '74 storm were destroyed again by this storm. I wrote about my experiences covering this storm in my blog and she read it and left me a comment. One of her neighbors told me that no one had been home in the houses that were destroyed, which I wrote in my piece. However, Jennifer HAD been home, so when she read the piece, she wanted to set the record straight. 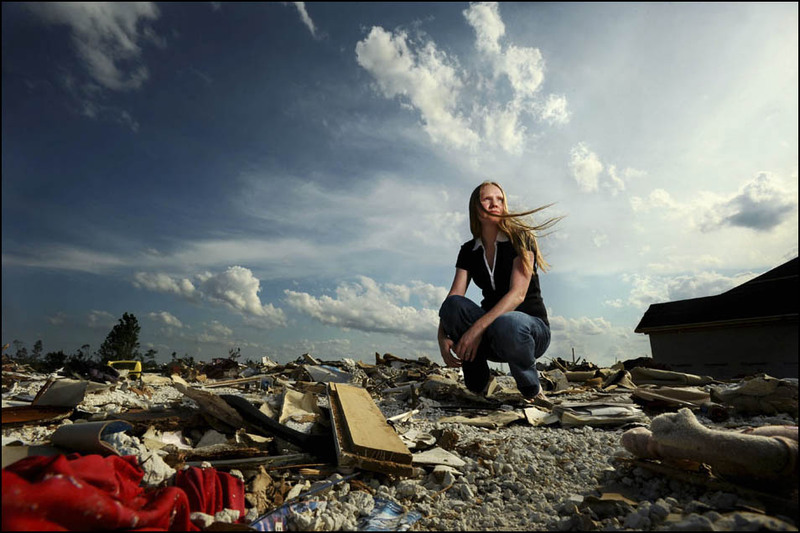 I wanted to tell her story, so we agreed to meet at her destroyed home. There was literally nothing left of it. I didn't even shoot a photo of the house on the day of the storm. 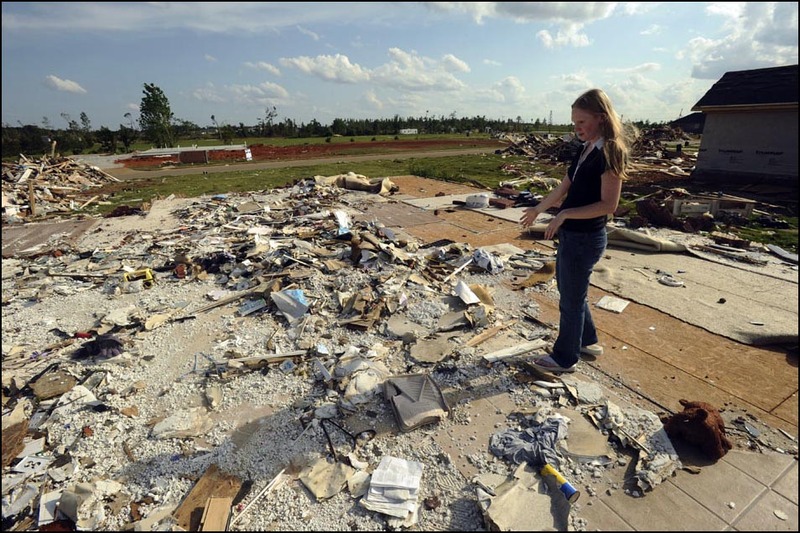 I checked my files and couldn't even find a decent debris pile where her house had been. The Camden Court neighborhood looked like an artillery barrage had hit it. 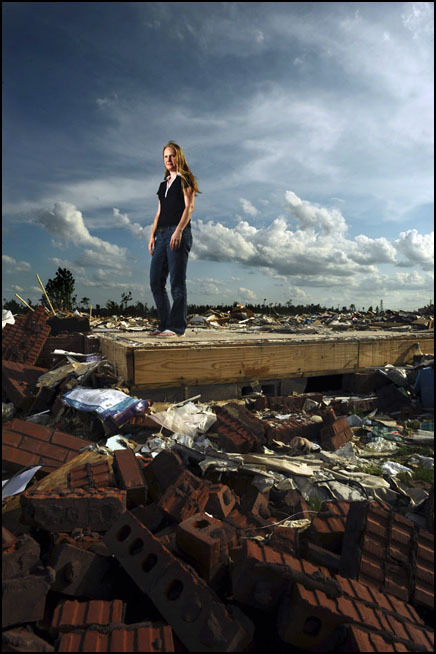 Jennifer had been laying on the floor in her bedroom closet covered in pillows and blankets when the storm hit. She was literally all that was left. The tornado took everything from the floor up, except her. Before we talk about the portrait of Jennifer, can you talk about your experience covering the storms? On April 27 I had been shooting storms all day. The first round I shot came through just after 9 a.m. A second line that produced two small tornadoes struck around 11:30 am. I shot the storm as it passed near Highway 31 in Tanner and then went to East Limestone where an EF1 tornado touched down and damaged several homes and the volunteer fire station. 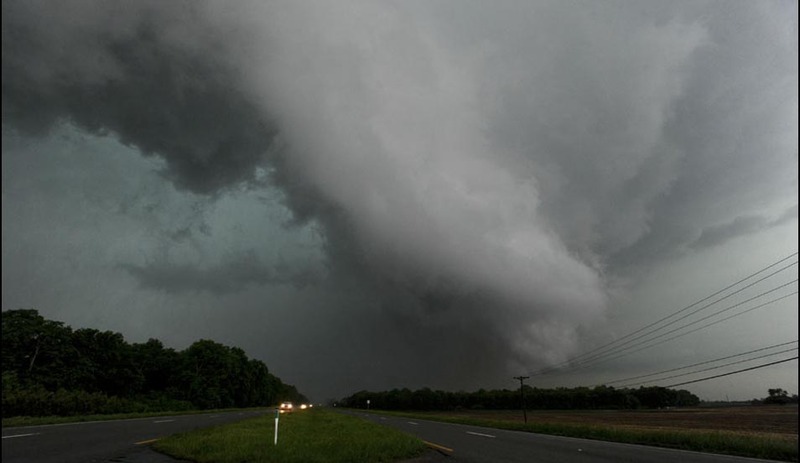 By the time I finished posting those images we got word of another wave of storms, this one with a significant tornado. These storms move very fast, and I knew any chance I had of shooting the tornado was located to the north. I was actually talking to my brother on the phone and he was giving me information about where the tornado was heading. As I topped a small hill I saw a Limestone Sheriff's deputy racing his car south. I pulled into the median of US Highway 31 to shoot. 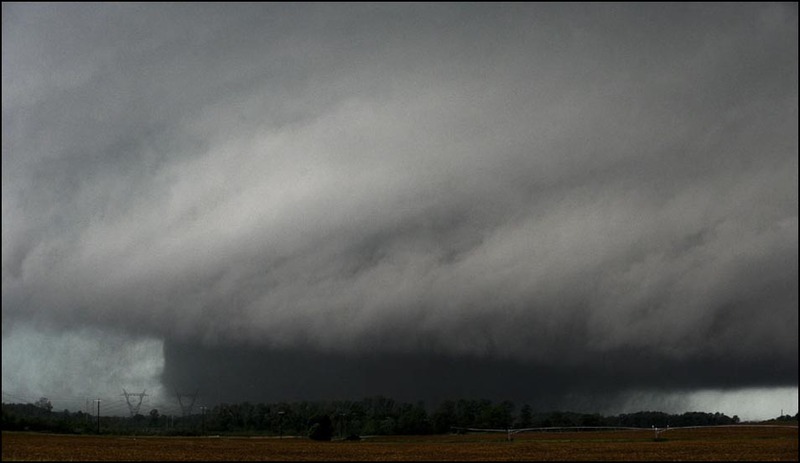 The tornado was huge. The sound was more terrifying than the sight and the sight was terrifying enough. I noticed clouds racing toward the tornado. This is the inflow as the storm draws air in, kind of like the storm's breathing. Those clouds were flying past me at about 45 mph. I had my window down and was shooting out my car window. I didn't have time to get out of the car. I have worked in Decatur for many years and I always thought if I ever shot a tornado I would shoot it right here. I shot for no more than 30 seconds before I knew I had to leave. A horizontal cloud looking like a pencil, or a funnel, detached from the main cloud and flew over my head. I had never seen a cloud move so fast. It had to be moving at 60 or 70 miles per hour. It was then I realized the tornado was heading directly for me. I drove south on Highway 31 just as fast as I could go. The winds were really whipping for the first half mile. In the time it took me to go from 0 to about 85 mph and then turn into another median one mile south, the tornado had moved past where I had been sitting when I shot the picture. I found out later that within 30 or 40 seconds from the time I shot my last frame, three people died within a half mile of where I had been shooting. I sat in my car shaking. I mean literally shaking. A few seconds was all that separated me from death. I have wondered many times since then exactly how much longer I could have stayed. I wish I could have shot some video. I wish I had a few more frames. I wish I had a closer look at that thing. But none of that entered my mind right then. I was thankful to be alive. That experience certainly impacted how I approached storm survivors in the aftermath. I felt, and still feel, a kinship with them that I would not have felt had I not been a part of the storm too. I think that connection drove me, and is still driving me, to tell their stories. I love the people, the place and I want to do the best work I can to honor them. What was going through your mind when you began photographing Jennifer? When I begin a shoot like this, the most important thing in my mind is making sure I honor the person I am photographing by doing the best work I can possibly do. Jennifer lived through an experience that few have ever survived. That is special. I had been on the periphery of the storm, I can't even imagine what she felt laying in that closet as the house around her was blown away. I was about a mile from the tornado when I shot the photos of it and the sound, even at that distance, was terrifying. To have been in a house taking a direct hit must have been like being inside a jet engine. Obviously, whatever photo I shot wasn't going to do her experience any real justice. Nevertheless, I was leaning towards shooting the assignment as a portrait. There was no real reason to do it any other way, because there was simply nothing for her to do. This photo was taken in June - she and her family had long since taken all the stuff they could possibly salvage and had moved to a new home. That made the portrait a default option. I would have been open to other options if any were to develop, but given the time lapse, I figured the portrait would be the best option. I really love shooting portraits on location. By contrast, studio portraits hold zero interest for me. I love being able to connect someone to their environment and then giving the viewer some idea of who the person is or what they have gone through. Every photo assignment is an exercise in problem solving, unless it is a rapidly breaking news situation (in which case you are just reacting). The most important aspect of solving a problem is being able to define the problem. The first thing I wanted to do was scout the place out so I could get a feel for what to do. In other words, I wanted to define the problem. With this assignment I only knew I was probably going to shoot a portrait. I arrived about 15 minutes early to the site. I walked around the property trying to get a picture in my mind of what I might be able to do. There was this deep blue sky and those clouds hanging out there and I began to see a picture in my mind. Because the portrait was related to a tornado I really wanted to get a tie in to the sky, the place where the disaster had come from. The wind was blowing at maybe ten miles per hour. I now began to define the problem and form a solution. While I waited for Jennifer to arrive, I started setting up my light and thinking through the angles and where I might pose her. Can you talk a little about lighting the scene? How and why you chose to light it the way you did? The light I used was a Lumedyne 200 watt second battery-powered strobe. I didn't have a softbox actually made for the light, but I did have a small softbox designed to fit on a Elinchrom light. I decided I could use it anyway with a little engineering. I slipped the mounting ring over the parabolic reflector on the strobe head and put it all on a light stand. It was not a tight fit, and I had no tape, so I used a part of the mounting assembly, wedging the softbox into a stable place. It got a little funny later. The softbox came loose and was free spinning around the strobe head in that breeze I mentioned earlier. I like these small softboxes because they give a good quality of light that is both soft and directional. I needed the power of the Lumedyne; in defining the problem, one of the things I decided to do was underexpose the daylight by about two stops to bring out the depth of that blue sky. To do that I needed all the power I could get. Normally for location lighting I use a set-up of Nikon SB strobes but they didn't have the power I needed. So the Lumedyne was the answer and the softbox was the modifier to give it good quality. Now onto the moment. Please describe what was happening at the time, and what was going through your mind while making the image. When Jennifer arrived, I didn't want to go right to the portrait. I wanted to give her some time to get comfortable with the camera, so I asked her to just walk me around the remains of the house and tell me her story. This is a good idea when you shoot a photo of anyone. Listen first, shoot second. The more you listen, the more you learn. I don't even mind working with a reporter during an interview. I let the subjects talk and tell their story. Most of the time they will give the clue I need to make a better picture. As Jennifer was telling me what happened on that April day, I learned about her relatives who were killed in 1974. She told me the lessons her family learned had been passed down to her. She used those lessons in selecting her hiding place, and she credits those lessons to saving her life. She told me about lying in the closet, hearing the tornado approaching, her power going out and then the impact of the storm. A dresser landed inches from her head. She was stunned but she was alive and only slightly injured. I couldn't photograph her lying down, so I asked her to kneel down next to the spot where her closet had been. I set the light up to camera right and shot a couple of frames. I had my camera literally sitting on the ground. I aimed it slightly up to emphasize the dramatic sky. Then the magic happened. A light wind blew some of her red hair across her cheek and I knew I had my shot. I did a couple of other setups, but it was all window dressing. I don't usually "know" I have a shot when I shoot it, but this day, I knew. I couldn't wait to get back to my computer and process the image. I had to wait for it to publish because the reporter couldn't be there on the day of the shoot. By the time she wrote the story and we got it scheduled, a week passed. It was very satisfying to see it in print. On a personal level, I think Jennifer was the first person I really connected with beyond the photo assignment. We formed a friendship that day and it was the first of many real friendships I formed with storm victims. Jennifer and her husband had their first child, Lily Shiloh Adair, born in late March of this year. From a situation that could have resulted in her death, a new life is born. I am very excited for her. I went back to do a one year anniversary story last week with one of our writers. 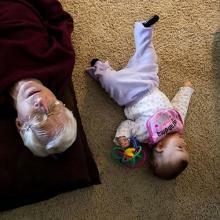 It is so rare to experience anything full circle like this with the subject of a photo. There are other families I met during the aftermath that I could now show up and knock on their door and we would be sitting on the porch drinking coffee like old friends. It has been an awesome experience. I have worked here a long time but can't say I really loved the place or the people all that much. Somehow, in covering this tornado and in meeting people like Jennifer, I have learned to love the people and the area in a way I had never done before. I am from north Alabama. I grew up about an hour west of where I live now. I guess I had taken all this for granted by being overly familiar with it all. But this storm really opened my eyes, and my heart, to the people around me, people like Jennifer. 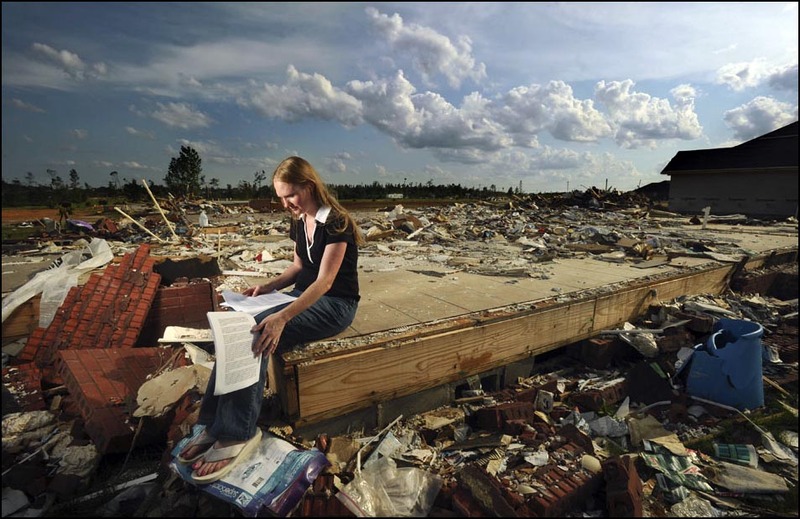 The most surprising thing to come out of this assignment was the realization that there were families still living in the area who had been hit in both 1974 and 2011 by F5/EF5 level tornadoes. 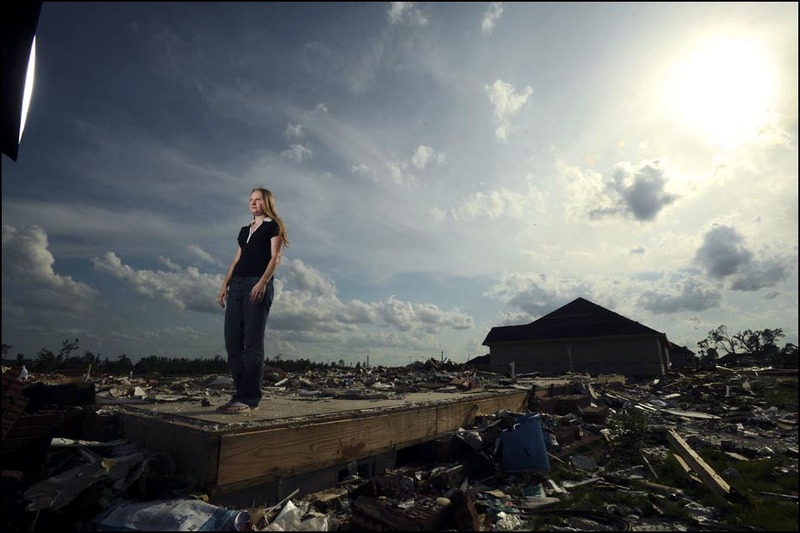 In fact, I had photographed Jennifer's mother at her destroyed home at the family's home site on Ingram Road a few miles away on the day after the tornado. I had no idea they were related. That made me start thinking about another project to tell the stories of some families who had endured such an amazing tragedy. It has also made me wonder why big storms follow similar paths through the sky. There are several very real storm tracks through Alabama where major tornadoes have made repeat appearances. I don't have an answer to that question, at least not yet! Anyway, this photo led directly to a video series I did for our web site called Twin Killers telling the stories of four people who lived through both tornadoes. We also share not only the kinship of the storm but the kinship of loss. My wife and I had a precious little boy who passed away two years ago. Having felt that pain so intensely helps me understand the pain they feel. Don't be married to some idea just because you think it will make a great picture. I absolutely believe that being a photojournalist is about serving the community and telling their stories. To do that you need to be able to listen and relate. You can be technically excellent but if you have no heart your photos will be lacking. Listening to people and then telling their story will make you a much better photojournalist, not to mention making you a better person. Cosby, 48, is married to Patty Cosby and has eight children. He graduated from the University of North Alabama in Florence, AL with a BS in commercial photography and a minor in journalism. His first newspaper job was at The Daily Advance in Elizabeth City, N.C. before moving back to Alabama. He has been at The Decatur Daily for 18 years. He grew up in north Alabama and his parents and brother still live here.